There is something about the Mother City that truly makes me proud to be South African and grateful to live in such a beautiful part of the world. I do not think it is just one single thing that makes a visit to Cape Town truly memorable but rather a kaleidoscope of culture, scenery, its people, the vibrant waterfront, the beaches and the beautiful grand old buildings, like Winchester Mansions, to name but a few. I decided to stay at the Winchester Mansions in Seapoint this past weekend. As a tour operator it is important for me to experience products we offer to overseas guests first hand. So from time to time I check into hotels for the weekend to see what the guest experience is like and if I think my clients would be happy here. Friday was an exceptionally beautiful winter’s day, the sun was shining, the fresh smell of the sea in the air, people were out jogging, dogs were being walked and the sea itself just looked beautiful. It was a balmy 24 Degrees Celsius and if you were stuck behind a desk you honestly missed out. Winchester Mansions is situated on Beach Road and has a fantastic view over the Seapoint Promenade and Atlantic Ocean. When looking at the hotel from the promenade you defiantly notice the CapeDutch architecture and the care that has been taken to preserve this grand old lady. To enter the hotel you pass through two beautiful glass doors which take you into the marbled floor foyer. At the right you have Harvey’s Bar which is a superb choice for sundowners or even drinks with friends if you are not staying at the hotel. On your left you have Harvey’s Restaurant which is a Bistro by day and restaurant by night offering South African Cuisine with a European twist. Reception is straight ahead to the far right. After a quick two minute check in I was in the lift and headed to the second floor. The hotel is built around a colonnaded courtyard, built in the style of an Italian Piazza with all rooms either having mountain or sea views. I was booked in a Classic Room on a bed and breakfast basis. The room was mountain facing and enormous, never mind the huge bathroom with showers big enough for two and a rather large sized tub!! Nice for honeymooners, if you know what I mean;-) It had all the whistles and bells of what one would expect from a four star hotel. One thing worth mentioning, is that although the hotel is situated in a busy area it is very quiet and tranquil once you enter the hotel. We did venture out of the hotel for a little while as it was such a glorious evening. When we returned our room had been turned down and I was ready for shower and bed. Crisp white linen and towels are always a bonus for me. I did however find the pillows lacking in thickness but a quick call to reception saw house keeping provide us with an extra two. If you are a golfer, bring your putter as there are putting greens in all the corridors. A great way to kill sometime if you are waiting on a spouse or friend. You can watch the guys paragliding off Signal Hill from the comfort of the bed and if you are in the bar or restaurant then you have the opportunity to see them coming in to land. My husband and I decided to go for a drink in the bar. It is a meeting place for business, for lovers or just friends wanting to catch up. The décor is a mixture of rich wood floors and dividers, lots of glass, beautiful mirrors and crystal lighting. Although elegant and classy, it has a comfortable relaxing feel to it and where we got stuck for a few hours. One drink lead to another, as is the case normally and we were so comfy that we ended up ordering off the bar menu. The food was light, very tasty and well priced for Cape Town. We ordered the potatoes with parmesan, nachos and the spinach and feta Flammkuchen. There is no recommendation here as all the food was fantastic. Try it all if you visit. The next morning we headed down to Harvey’s restaurant for breakfast. The weather had turned and was now chilly, wet and a little windy. This however was not the feeling we got when we walked into the restaurant. The use of earth tones and natural colours and light wood gives you a warm and welcoming feeling with the touch of class and elegance from the mirror and glass paneling and lighting. They put on a wonderful selection for breakfast and continental and full English is catered for. I did have an opportunity to view the room types and Winchester Mansions have done a great job in catering for all types of travellers. For families you can book a family suite which offers two or three bedrooms with a living room. Children six years and younger stay free of charge and third person sharing rates are very reasonable. The hotel also offers a babysitting service with a reputable agency. There are also conference facilities and a board room for business meetings or lectures. My experience at Winchester Mansions was superb; the housekeeping was great and had great attention to detail. The staff are well dressed and always greet with a friendly smile. 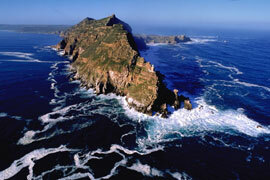 If you live in the Cape Town area I would strongly recommend sundowners and dinner at Harvey’s Bar or Restaurant. They also offer a Jazz brunch on Sunday’s which I hope to return for. And if you not in the Cape Town area, do visit this hotel on your next stay and don’t just stay for one night as you will be disappointed. If you have children this is the perfect home away from home and I would easily recommend you spend a week here. 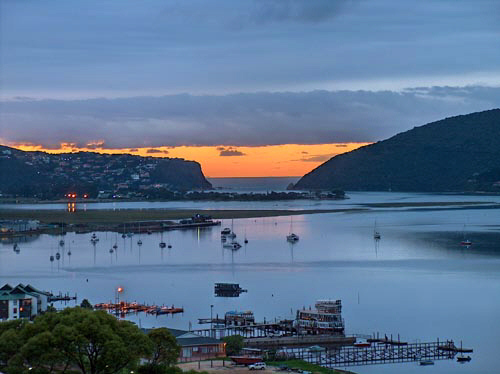 Is Knysna the best holiday destination in South Africa?